Google may not be prepping Android 5.0 Key Lime Pie for the annual Google IO conference next month with fresh reports suggesting Android 4.3 may be on the way instead. 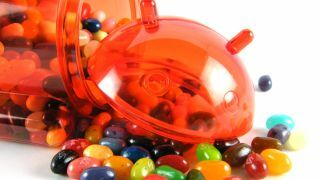 The folks over at Android Police have apparently spotted some server logs which point towards Nexus 4 and Nexus 7 devices running an updated version of Jelly Bean - Android 4.3. According to the report the IP addresses of the devices have been traced back to Google's offices and two separate employees, although we remain sceptical on that particular fact for the time being. Last week we heard reports that Key Lime Pie wasn't going to appear at Google IO, as the search giant could be delaying its launch to allow manufacturers time to roll out Jelly Bean to their current crop of handsets. This latest news jives pretty well with suggestions of a delayed Android 5.0 arrival and Google may be releasing a little Jelly Bean update in May to keep everyone sweet in the meantime. Additional weight has been added to the Android 4.3 argument after a Reddit user did some snooping of their own, claiming to have found various pieces of evidence relating to the existence of Android 4.3. These sort of details can be forged and while Android Police claims it's traced some of the information back to Google itself, we still can't be sure what we're going to see at Google IO 2013 in May.